Our truck repair shop has the latest diagnostic equipment to keep your truck running through Irving. We pride ourselves in customer service, please take a moment to review our service. If you need a truck repair and you're in Irving, get in touch with us now! American Truck & Trailer Repair has been providing quality truck and trailer repair to Irving, TX and surrounding communities since 1992. Our mechanics at American Truck & Trailer Repair also provide emergency roadside assistance, mobile truck and trailer repair, on-site fleet maintenance, semi truck repair, free estimates and much more to Irving and the surrounding area! 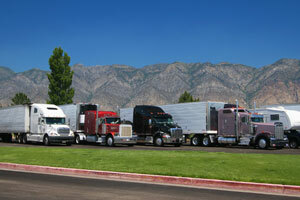 We are dedicated to providing quality service for all your truck, trailer or fleet repair needs around the Irving area! Call our trained and experienced technicians today! American Truck & Trailer Repair offers truck repair and servicing to Irving, TX and surrounding communities!